The idea for serving an ice cream sundae with a crunchy cone stuck on top, like a hat, came from the fairly new and very popular Canberra bistro called Eightysix. The idea for making a 2 litre container of bought vanilla ice cream more exciting, by adding halva and other ingredients came from Maggie Beer. 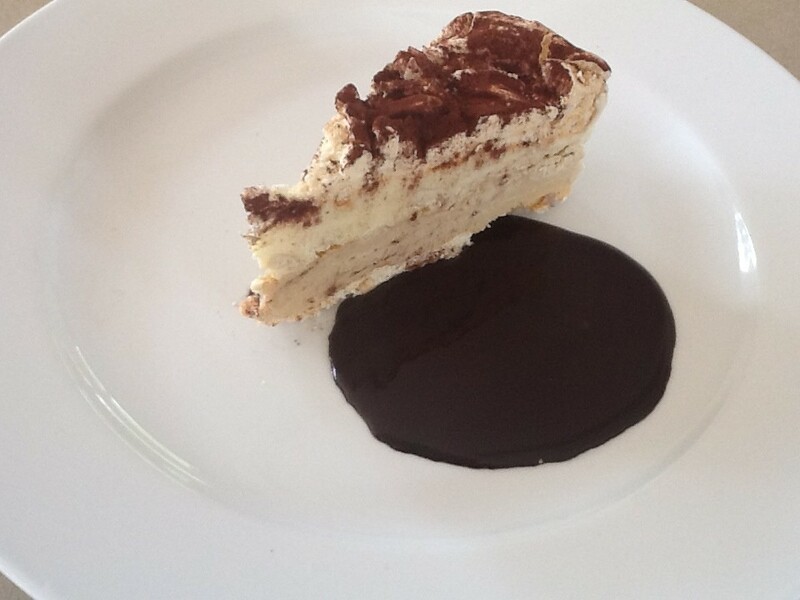 I put these two ideas together for a quick and delicious dessert. Matthew said he wasn’t very hungry and would “share” mine. But after a few mouthfuls I knew I wouldn’t be able to leave half, so I told him to get his own. If you can’t find halva – a Middle Eastern sweet made from nuts and sugar which tastes a bit like nougat – you could chop up a couple of Crunchie bars. The fresh mint really makes a difference, helping to cut through all that sweetness. If preferred you can leave the salt out of the caramel sauce. 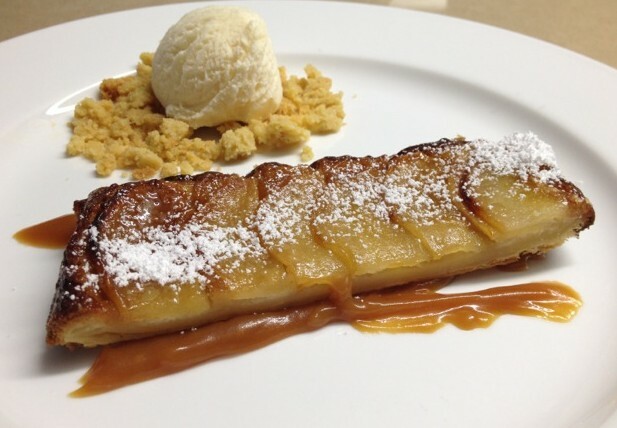 For an even quicker version of this dessert, just use plain vanilla ice cream. Remove ice cream from the freezer and after 15 minutes scrape it into a large bowl. Add remaining ingredients and mix through. The ice cream needs to thaw just enough to allow you to mix them in but don’t let it soften too much. Put back into container and into the freezer. 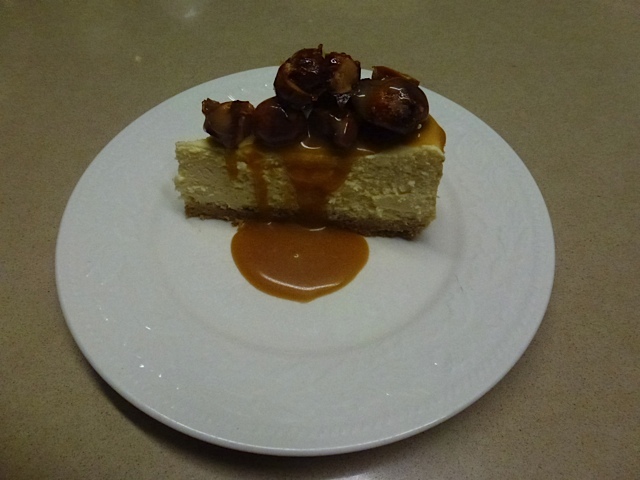 For the sauce, melt the sugar in a small heavy-based pan until melted and dark caramel colour. Add cream and butter and mix until smooth. Put aside and warm slightly to serve. To serve, fill ice cream cones generously with ice cream then place upside down in serving dishes. 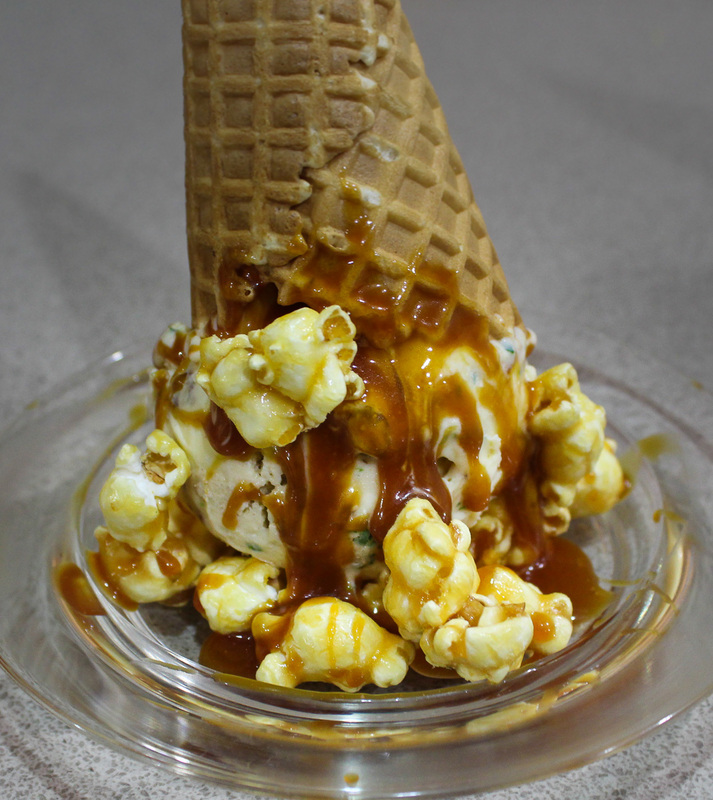 Sprinkle a few popcorn around and drizzle with the warm caramel sauce. 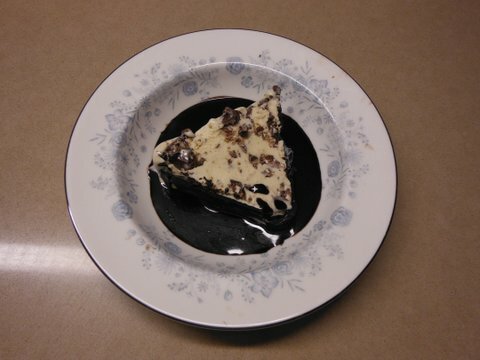 This entry was posted in Recipes and tagged dessert, dinner party, easy, family, ice cream, kids, quick by Linda Peek. Bookmark the permalink.